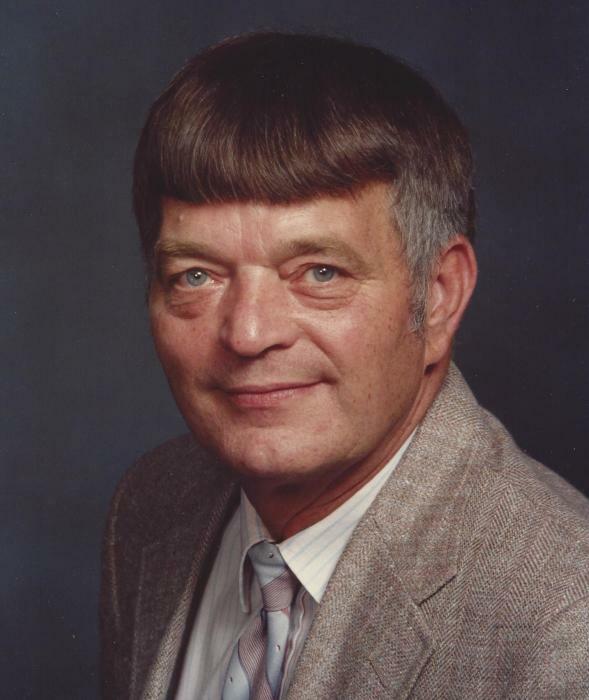 Willard Tucker, age 85 of Osgood, passed away on Thursday November 15, 2018 surrounded by his family. Willard was born on September 17, 1933 the son of the late Osa and Ethel (Hull) Tucker in Ripley County and always called it home. He was a graduate of Napoleon High School. After high school Willard spent a short amount of time working for Omara’s in Greensburg before entering the United States Army. He served his country for 2 years working in the bookkeeping department. After his time in the service he returned and married Vada (Callahan) on June 23, 1957. They were blessed with 2 sons. When he returned from the service he would begin to work for the Ripley County Bank in Osgood and for the next 40 plus years he was a faithful employee. Willard was a dedicated member of Union Flat Rock Baptist Church. He could tell you every aspect and corner of the church and property, he helped to maintain it for years. He enjoyed his family and spending time at home whether it be gardening or raising flowers, he appreciated the simple things in life. After retiring he spent many winters in Florida, but was always eager to come home. He collected arrowheads and black glass over the years and even had a xmas tree farm at one point. He is survived by wife Vada, sons Greg (Annette) of Osgood and Jeff (Karen) of North Vernon, grandchildren; Kyle and Trent of Osgood, Justin (Liz) of North Vernon, Adam (Chelsea) of Franklin, Tara (Austin) Renoll of North Vernon, Whitney (Kyle) Vogel of North Vernon, and Paige and Abby Wilcher, and great grandchildren Brooklyn, Ellie, Luke, and Kylie, along with brothers Vaughn (Shirley) of Greensburg and Colin (Diane) of South Bend. Visitation will be held on Monday November 19, 2018 from 4-8 pm. At Neal’s Funeral Home in Osgood. Funeral services will be held on Tuesday November 20, 2018 at 12:00 pm. at Union Flat Rock Church, with doors opening at 11 am. Memorials may be given to Union Flat Rock Church in care of the funeral home.